hello all! i hope you’re having a wonderful day today. i just wanted to share something i made for a friend’s upcoming birthday. 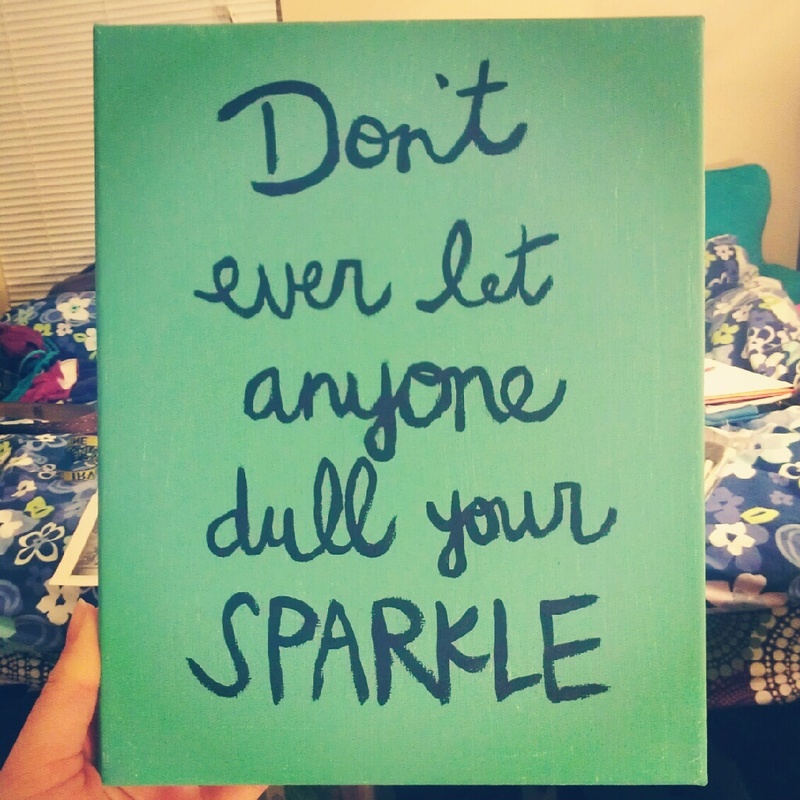 i painted this canvas and added the quote, “don’t ever let anyone dull your sparkle” because i felt that it embodied her so well. but then it got me thinking. everyone has some kind of personal sparkle, and no one should try to dull anyone else’s. so surround yourself with people who make you happy, and embrace life to the fullest. everyone owes that to themselves.